As I have mentioned before, I am part of a CSA this year and get tons of fresh produce from the local farmers market each week. 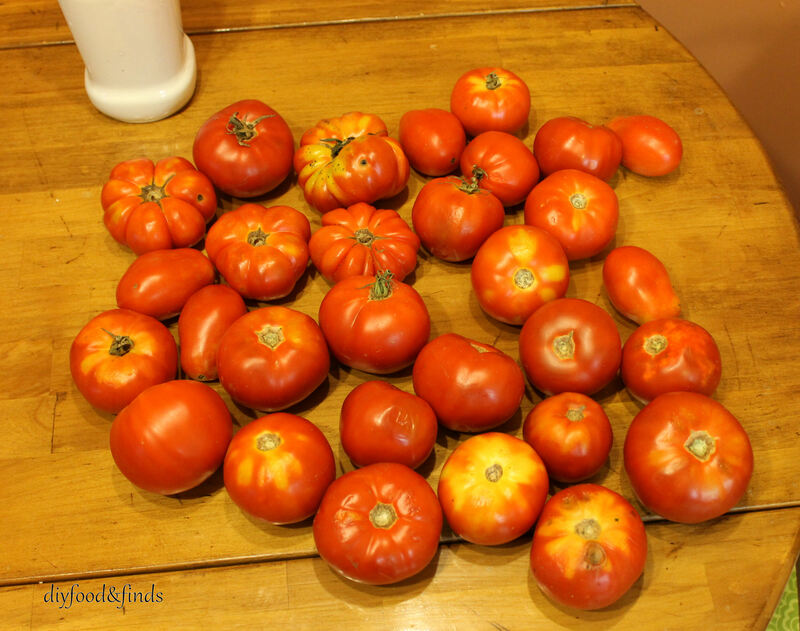 This week my farmer had lots of tomatoes that were over ripe and he couldn't sell, so he was letting the CSA people take as many as they wanted. I am not one to waste food, so I took a fair number (and note this is not all that I took since we are splitting the CSA with one of our friends!). For this recipe I based mine off of this one from allrecipes. Mine is a bit different- and much spicier. 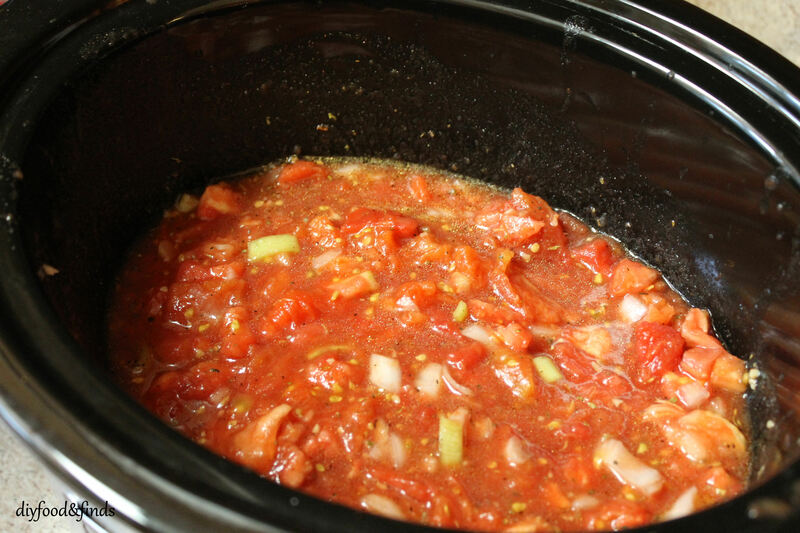 And I used 16 random heirloom tomatoes for this meal, but you can totally alter this recipe to fit how ever many tomatoes you have - just be sure you can fit them in the crock-pot! This is fairly easy and dare I say, fun? 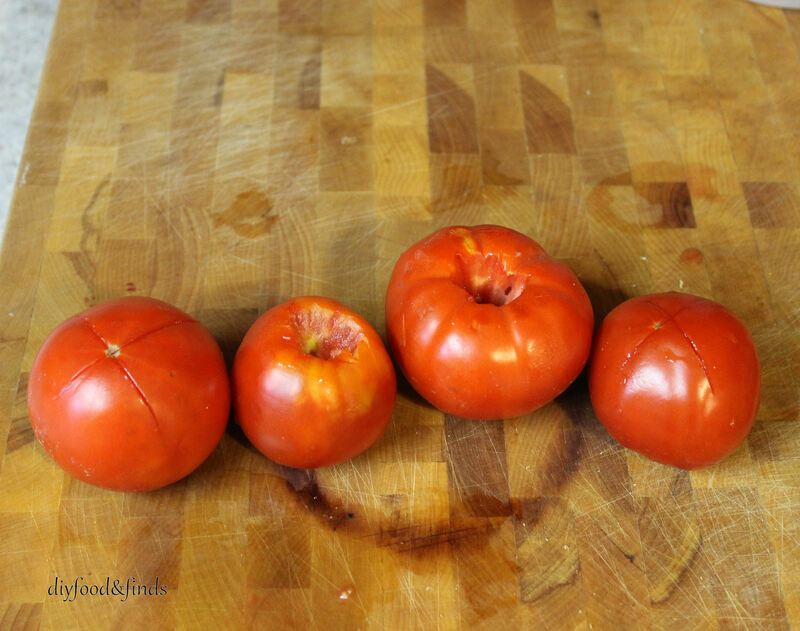 Take out the stems and score an X on the bottom of the tomatoes. 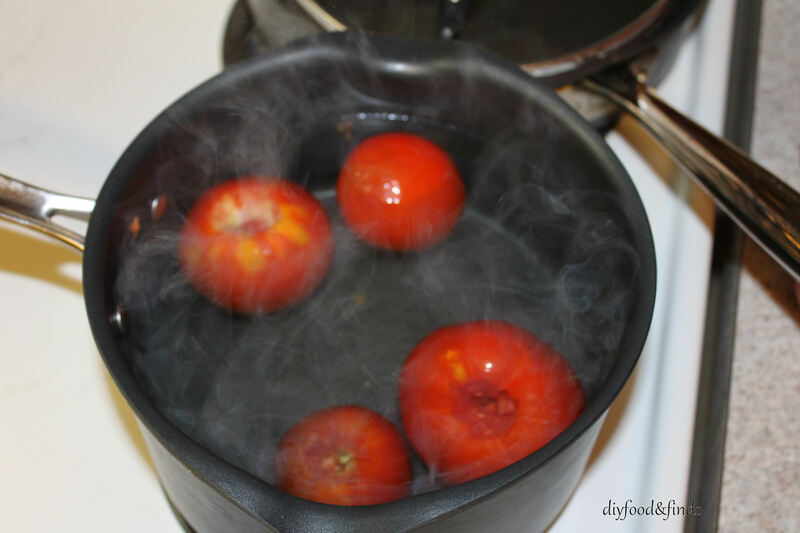 Then put them into a pot of boiling water - I did 4 at a time and this worked out great! Let them stay in for a minute or until the skin starts to wrinkle a bit. Then take them out and put them into an ice bath for another minute. Take out and start peeling by pulling at the corners on the bottom where you put the X. They should come off very easily. Now that hard part is done! I felt so accomplished after all of this! 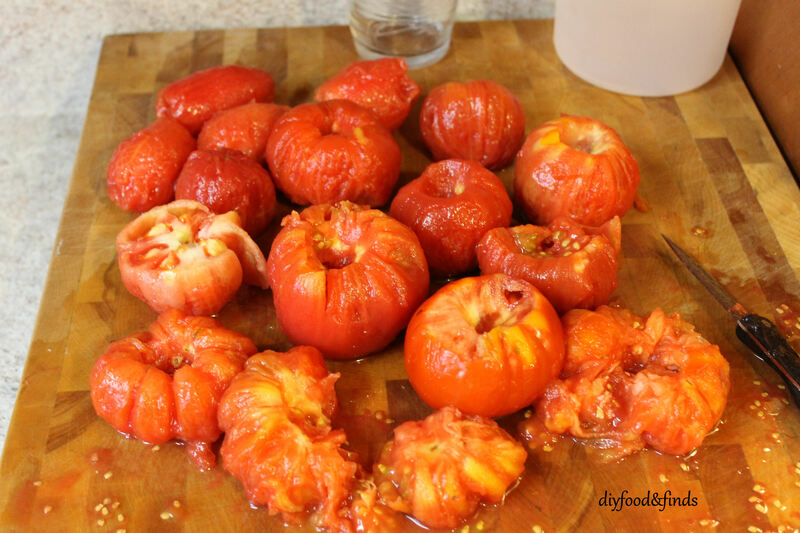 Many other recipes say to remove seeds, chop, and crush the tomatoes at this point. I didn't do that, because 1) to de-seed 16 tomatoes is a lot of work and 2) I don't have something to crush them with. So all I did was Chop the tomatoes and add the rest of the ingredients. Now let this simmer in the crock pot for 10-15 hours. And that's the end of Part I! 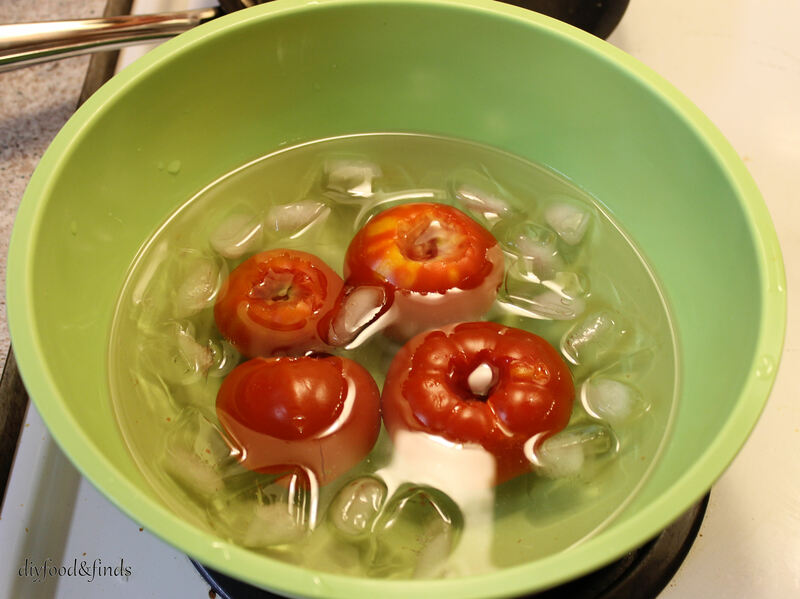 Stay tuned for Part II - the review of this method/recipe and the canning experience.